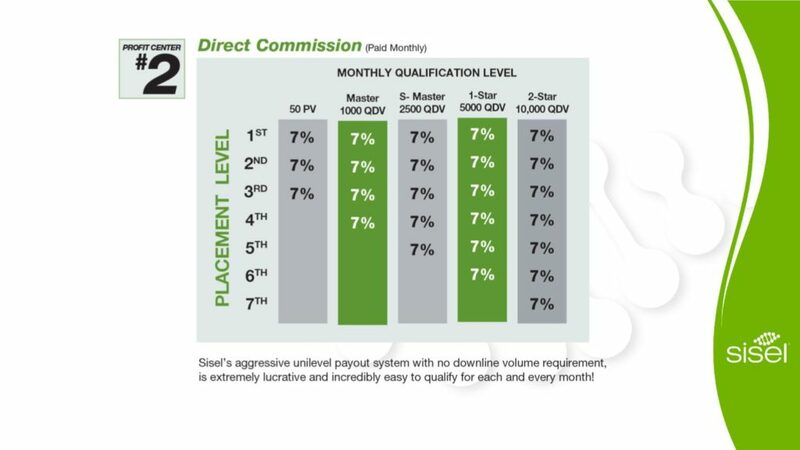 Sisel International’s Compensation Plan is one of the most lucrative compensation plans on the market. It is also the fairest compensation plan. If a person sponsors someone’s who is a big business builder they can never get more than 50% of their income from one leg. This means you can sponsor someone below you who makes more money than you do if they work hard and yield results. In addition, a distributor can sponsor a preferred customer. A Preferred Customer is someone who has no interest in the business side of things and is only interested in using the product. When a Preferred Customer places an order the sponsoring distributor receives 25% of the Preferred Customer’s order in commission. 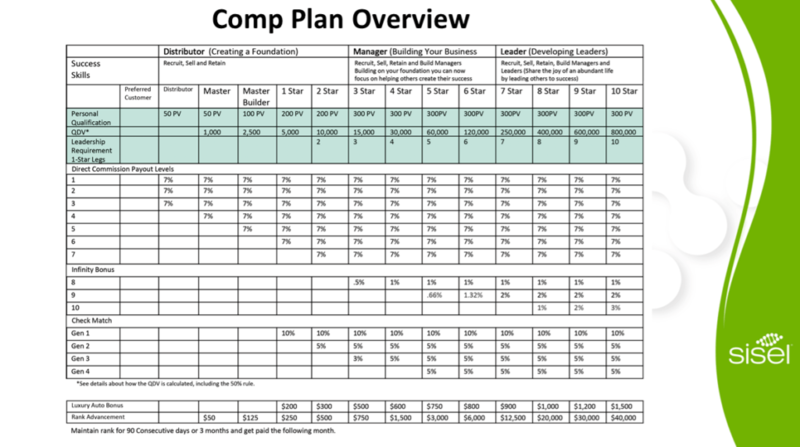 This is based on the CV (commissionable value) which is close to the actual dollar value. Its free to join as Preferred Customer or a Distributor in Australia (other countries may have a small joining fee). Renewal of a membership is $21 NZ for distributors. Free for preferred customers. Orders arrive 7-10 business days after being placed. Orders are shipped from the US manufacturing plant to New Zealand, then Australia. The New Zealand Warehouse has opened and is the distribution point for Australia and New Zealand. For United States Customers, since the products are manufactured in the USA delivery is faster. Next day delivery or standard is 2-5 days. Listen to recording at 16 minutes 30 seconds. The highest rank is 10 Star Master. The first step is to Reach 1 Star Master. 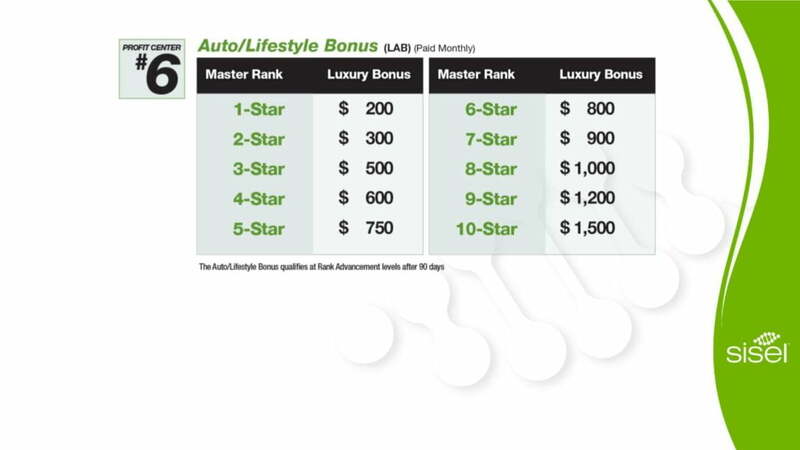 For a full explanation of the compensation plan check out this 14-minute video. It’s important to understand to reach 1 Star Master you need 5 K in downline volume. Become a Sisel Distributor today.